Most kids living at home are sharing techy things with their siblings and parents. Make sure the grad is ready to fly on their own when it comes to all their tech needs. 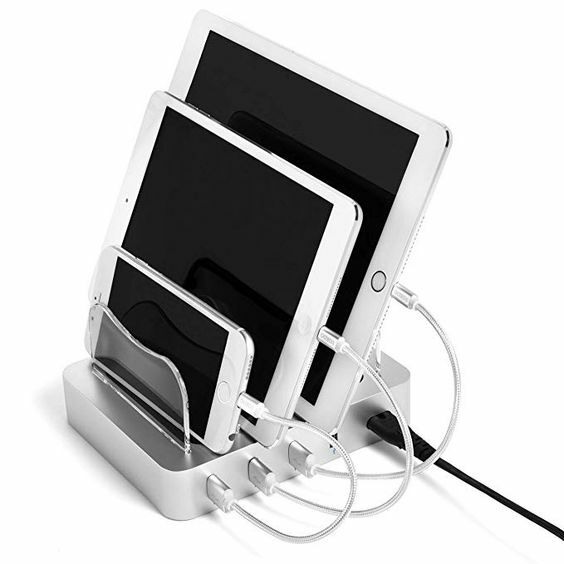 Gift them with a few extra chargers for their phone and/or tablet or computer, a car charger or best yet, a dock where they can charge all their devices without a ton of clutter so they never have to worry about being able to call home. Once off at college, the grad will want great headphones to help with the many study sessions in the library. Gift them with a pair that will stand the test of time and keep them studying all four years through school. 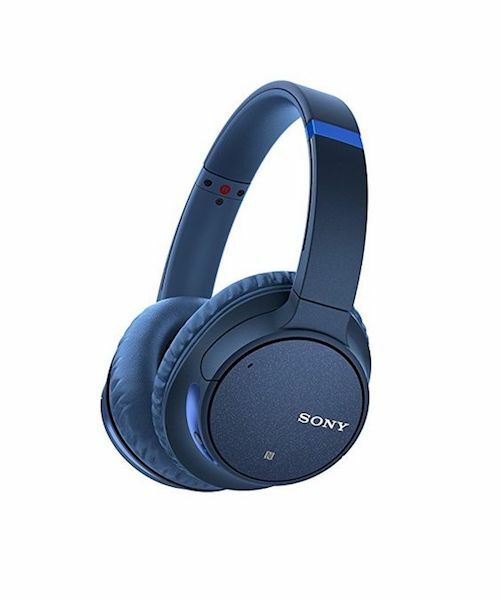 We especially love these noise cancelling ones by Sony that allow even the longest paper to be written in the loudest spots! There are so many practical ways to gift graduating seniors. You can be as simple as funding their first few laundry loads with rolls of quarters and dryer sheets. Know the grad’s favorite snacks? Create their first stockpile of dorm munchies in a basket for them to take to school. Or you can give the gift that keeps on giving: gift cards! Think of fun restaurants, outings and activities that college kids would love. Start by checking out where they’re going to school. Is there a nearby coffee shop or movie theater or grocery store? Select a few spots and give a gift card from one of those local places. Or consider gifting a subscription to Netflix, Hulu or Spotify so the grad has access to all their favorite shows and tunes even while away at school. In college, most students just need to carry their ID, a little bit of cash and a few cards. 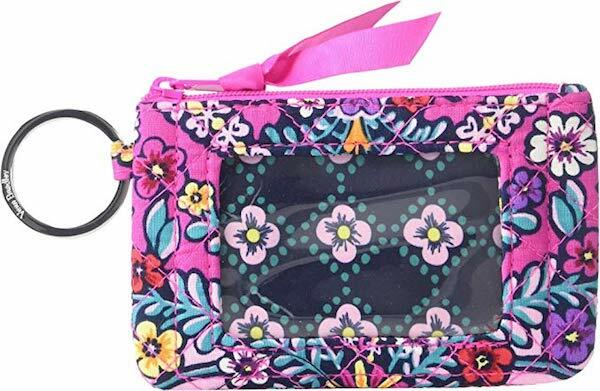 Make their travel light by gifting them with a small keychain wallet. You can even add in the above mentioned gift cards to get them started on the right foot. Most grads aren’t thinking that they’ll still need to gather up school supplies for college. While a laptop replaces most things, notebooks, nice pens and folders are still staples in the college classroom. 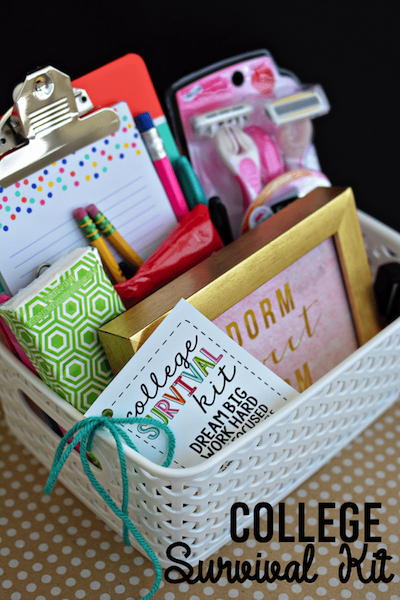 Create a basket of the essentials and splurge on Sharpie pens and FiveStar notebooks for the best classroom experience. 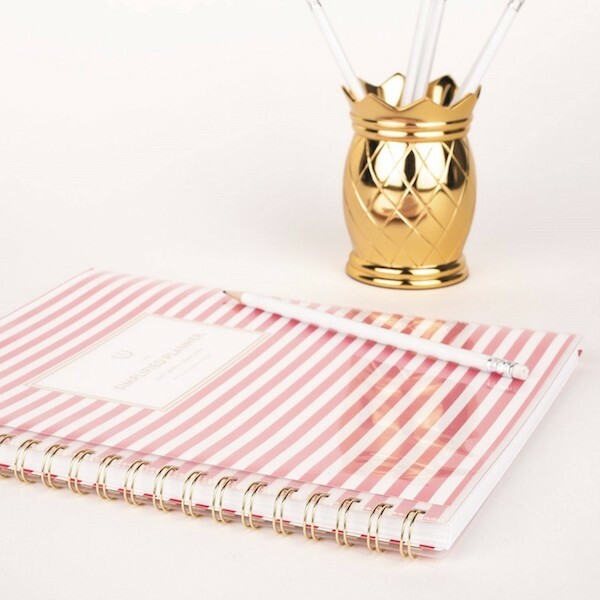 Along with those school supplies, help the grad keep all those first day of school syllabi straight by gifting them with an awesome school year planner. This one by Emily Ley is simple: combining a to-do list and a timed agenda on the same page for quick and easy use. Need more great organizational college tips for the grad in your life? 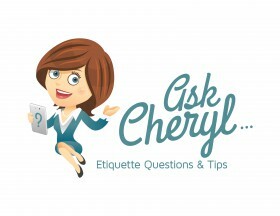 Check out this post for other great ideas. 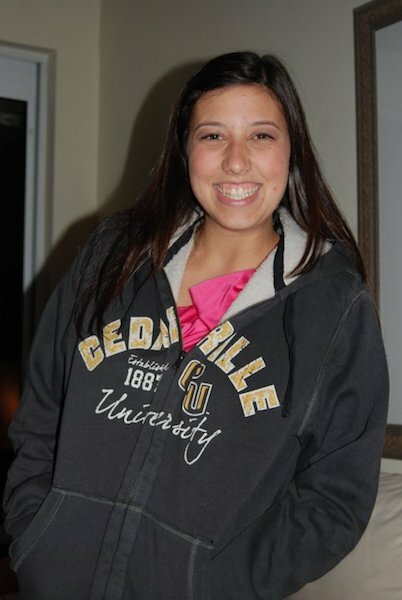 Most colleges have online bookstores that sell spirit wear. Or, if the grad is going to a bigger state school, chances are you can find logo apparel at your local sporting goods store. Pick out a few t-shirts, baseball caps or sweatpants ( what every grad actually wants for early morning classes) and get them into the school spirit. You can also give them a gift card to their school bookstore. Not only will they be able to choose their favorite sweatshirt or tee, but they might also put some of it toward purchasing those hefty textbooks during the first week of classes. Is the grad you’re celebrating moving out of state for school? Gift them with a piece of home. 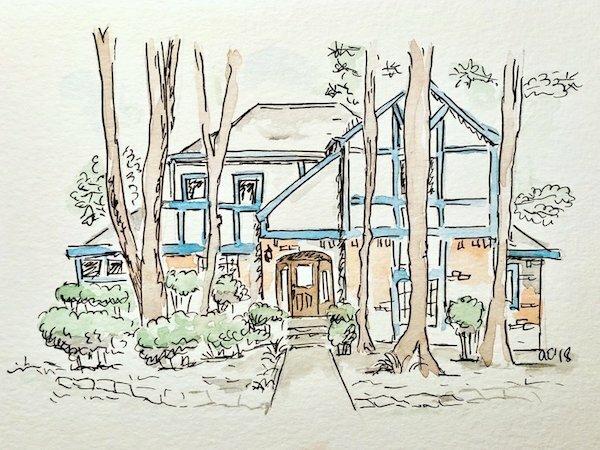 Etsy Seller, Archer Art and Design, creates whimsical sketches of childhood homes that would be the perfect addition to any dorm room. 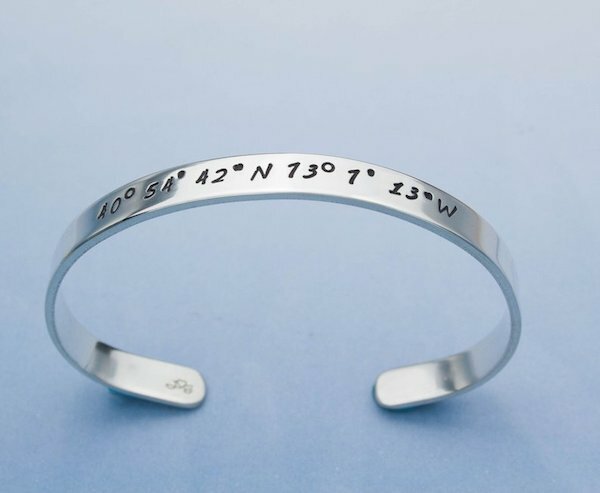 Keep that faraway grad close to home with this longitude/latitudbracelet. It’s a sleek accessory that will remind them of the town and the people that built them as they spread their wings to fly. Photo via Little Blip Blog. 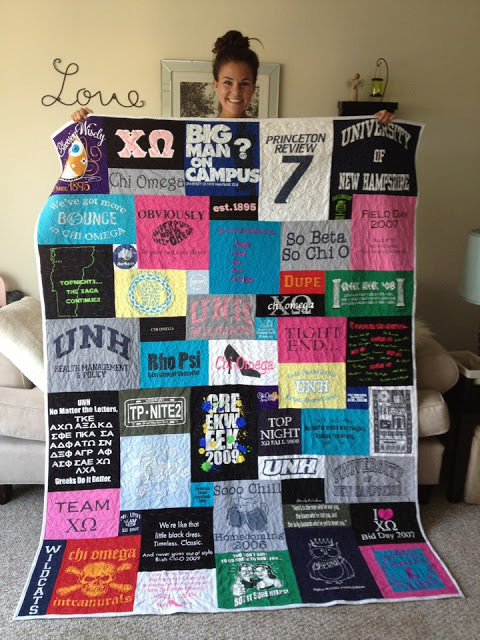 If your grad was super involved in high school, a t-shirt quilt will be the perfect meaningful gift for them. Gather all those extracurricular earned tees and have them made into a cozy throw that they can bring with them to school. Help that future dorm room feel more like home with an inspirational quote. 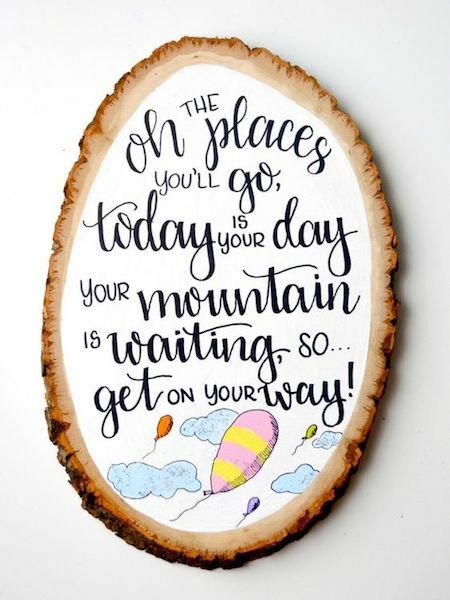 We love this wood plaque with the Dr. Seuss quote! 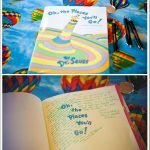 Any words that inspire dreaming about the future and looking for new adventures will go perfectly in a college dorm room. Photo via Etsy Seller Need More Heart. 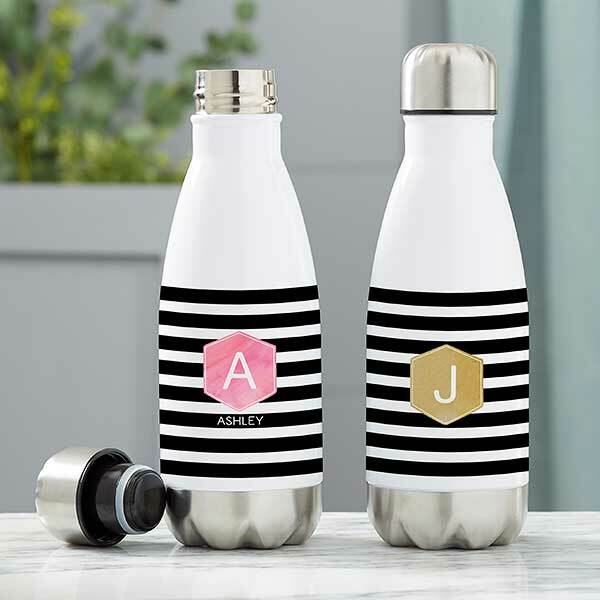 Personalizing a gift shows that you went the extra mile in care and thoughtfulness. 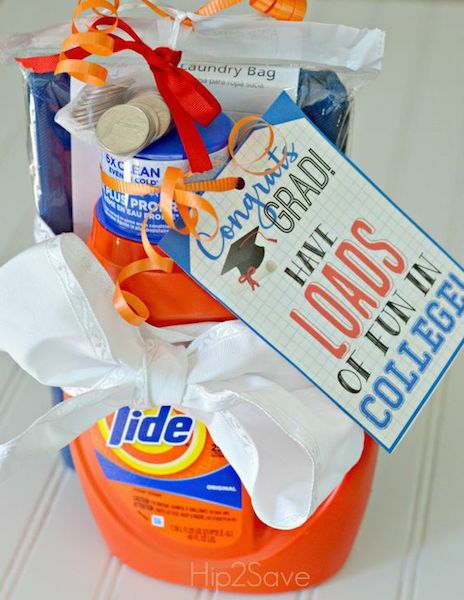 Personalize some dorm decor and you’re sure to thrill the grad in your life. 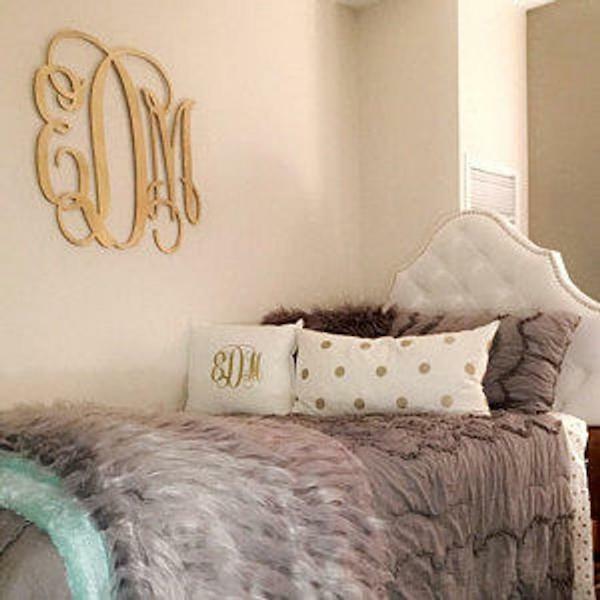 We love this monogram wall hanging by Etsy seller, Needmore Heart. It comes in any variety of colors to match the design style of the grad! Transform a necessity into something fun by having the grad’s towels personalized! 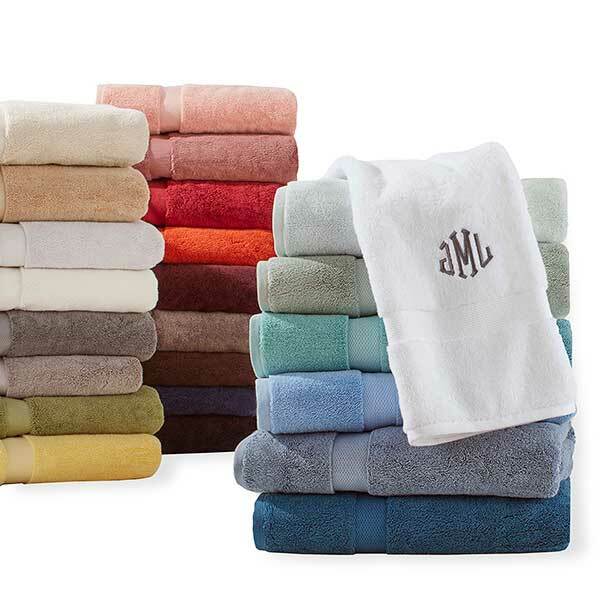 There won’t be any mixups in the shared hall bathrooms with one of these monogrammed towels. Be it a water bottle, mug or travel coffee mug, the grad receiving this gift will be so happy to not have another generic cup. Whether they’re in the campus coffee shop or the gym, they’ll be making a statement. Add in a Starbucks gift card, fun coffee creamers or some flavored water enhancers to make this gift extra fun. 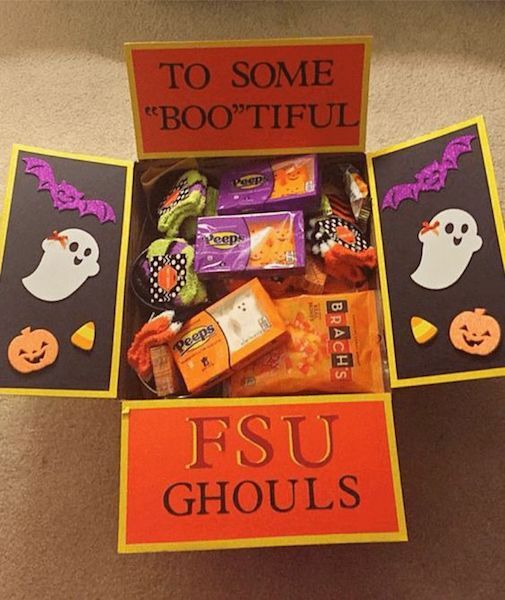 Send off a holiday themed care package at Labor Day, Halloween, Thanksgiving or Christmas. Include the best holiday treats, some fun socks and a cute card! In college, the movie night is a weekly staple. Send an iTunes gift card or stock the grad’s movie collection with a few of your personal favorites–or the ones you love from the Walmart $5 bin. (That was our personal college favorite!) 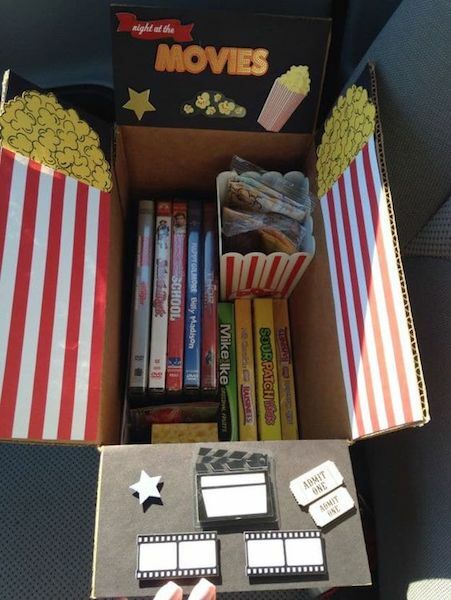 Add in microwave popcorn, snacks and candy for a package that’s sure to be top notch! Photo via The Country Chic Cottage. 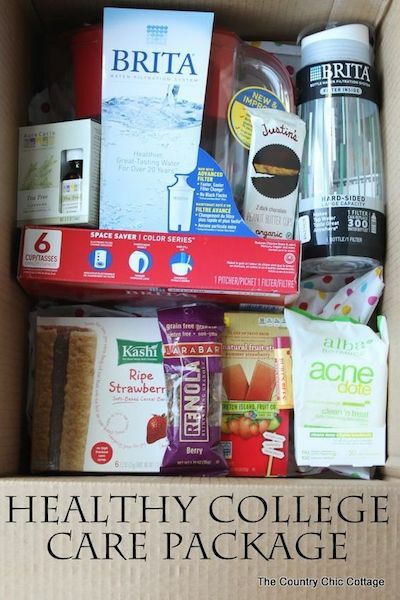 Look out for that fresh college student with a healthy care package. Include a water filter pitcher, water bottle, first aid supplies, and healthy snacks like granola bars. My mom is the queen of birthdays and on the first birthday I celebrated away from home during my freshman year of college, she mailed me a package that looked just like this one. 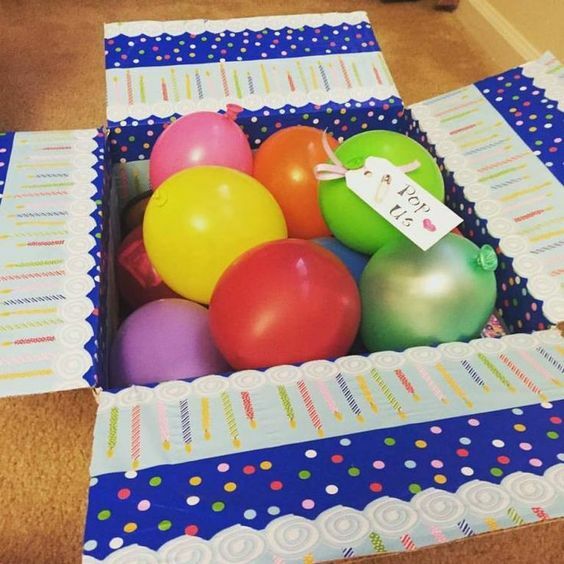 The inside of the box was decorated just like how she used to decorate our kitchen on our birthday mornings and it included all the party supplies for an awesome day: balloons, noisemakers, hats and a tiara. 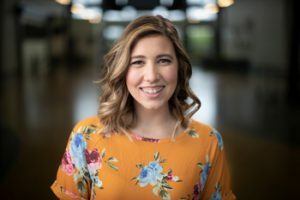 Send this off on the grad’s birthday for a fun surprise! Still need a few more ideas for graduation gifts? We’ve got some good places to start! We’ve made shopping simple for you by picking out lots of great gifts under one roof at our Amazon Store. Over on our GiveIt blog, we have everything from winter essentials to creative gifts to staying healthy tips and tricks! 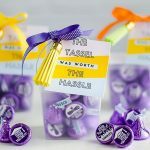 -Written by Sami Moss, who loved getting personalized gifts for high school graduation (and any gift giving celebration! ).